Find out why Retail Food Group thinks the country is a ‘perfect fit' for the brand's revamp. 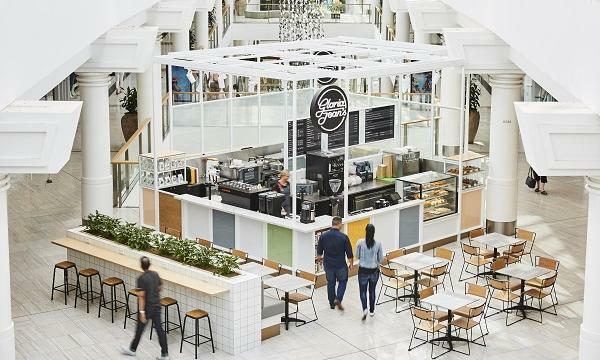 Australia-based Retail Food Group (RFG) recently announced its massive expansion plan to open new outlets from its Gloria Jean’s brand in the United Kingdom – with 190 outlets slated to be established within the decade. Taking about their 20-year franchise agreement with Naweed Nasir, RFG international chief executive Mike Gilbert says their first UK site will represent the “Gloria Jean’s of the future,” signifying a major brand renovation. QSR Media spoke to Gilbert, who elaborated on their rationale behind the brand revamp and how they plan to stay in the UK’s speciality coffee market. QSR Media: How long have you been looking to enter the UK market for? Partnering with the right Master [Franchise Partner] to take Gloria Jean’s Coffees (GJC) forward is critical, and we are confident that we have a strong partner in Naweed Nasir. RFG [was] actively seeking a Master Franchise Partner in the UK for GJC for approximately 18 months, ensuring we find the best fit for our brand. QSR Media: Who is the franchisee? What is their experience in the food and beverage space? Naweed Nasir, Director of Green Valley Foods Ltd, has many years’ experience in F&B import & export and food production in the UK. He also previously headed up a successful independent franchise network. His belief in our brand is overwhelming and we are overjoyed to have him on board. QSR Media: What will Gloria Jean’s bring that is different to the UK market? Our passion for speciality gourmet coffee is second to none. We are across the entire process from working with farmers to creating our own blends and roasting to order in our own roasteries. ‘Going for a coffee’ is truly an experience, and not just a routine for the consumer, and Gloria Jean’s Coffees will deliver on this every step of the way from our coffee to our dine-in or grab-and-go items. All of this is packaged up with a blend of nostalgia and innovation, backed by good old-fashioned service. The store environment is also a critical factor in creating that perfect coffee experience, whether you are making a quick stop or spending time to enjoy the ambience. The UK will be our first international market to launch a major brand renovation for Gloria Jean’s Coffees, which has a heritage spanning almost 40-years. It is a brand evolution that we have been working on for a couple of years now, to ensure we maintain relevance in a competitive market. The UK is very progressive and knowledgeable when it comes to coffee, so it’s a perfect fit to launch our ‘new brand look’ there. QSR Media: When you look at the UK specialty coffee market- where do you see Gloria Jean’s strengths? Gloria Jean’s coffee is exceptional. Whilst we will be the ‘new kid on the block’ in the UK, we have been sourcing, blending and roasting our own coffee for decades. We take great pride in delivering what we call the ‘Good Cup’: a blend of only the best beans, best equipment, best techniques and as a result, the best coffee. Our menu plays on a sense of nostalgia, bringing mouth-watering favourites to life with a modern twist. There are also some bursts of innovation in the coffee space and we think our British friends will really enjoy a coffee or meal in our new modern coffee outlets. QSR Media: Will you be tweaking your offering for the UK market at all? If so, how? It is important we ensure the GJC offering is suited to the local market regardless of where that is, whilst also maintaining our brand integrity. Naweed has worked closely with our Product Innovation team to find a delicious balance on the menu, focussing on freshly made meals, exciting new brews and an extensive grab-and-go offering. 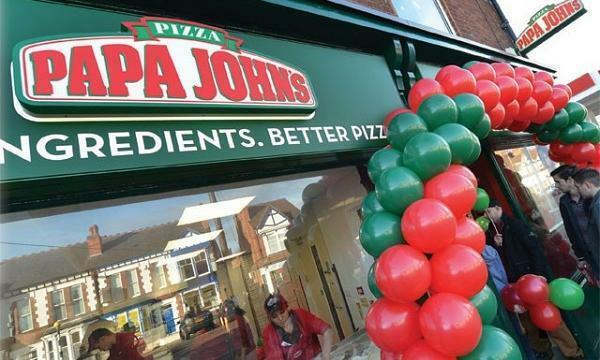 QSR Media: How many stores do you expect to open in the UK? Over what time period? We plan to roll out at least 190 outlets over 10-years. QSR Media: Where will your first store be and when will it open? The first store is set to open its doors in September 2018, in the busy St. Enoch Centre located in the heart of Glasgow’s bustling shopping district.